A data strategy is a roadmap for your business’ data goals that outlines why and how you’re going to employ data analytics internally. It identifies opportunities and defines outcomes based on the nature of your business model, organisational makeup, goals and concerns. HOW CAN A DATA STRATEGY HELP YOUR BUSINESS? This project is designed to help your company understand the current state of customer data throughout the business – how is it collected, accessed, used and stored? Your objectives might vary, from undertaking data assessments and strategy planning exercises to bringing together multiple customer data sources. Perhaps you’re interested in illustrating how a customer view could be leveraged to drive business performance. 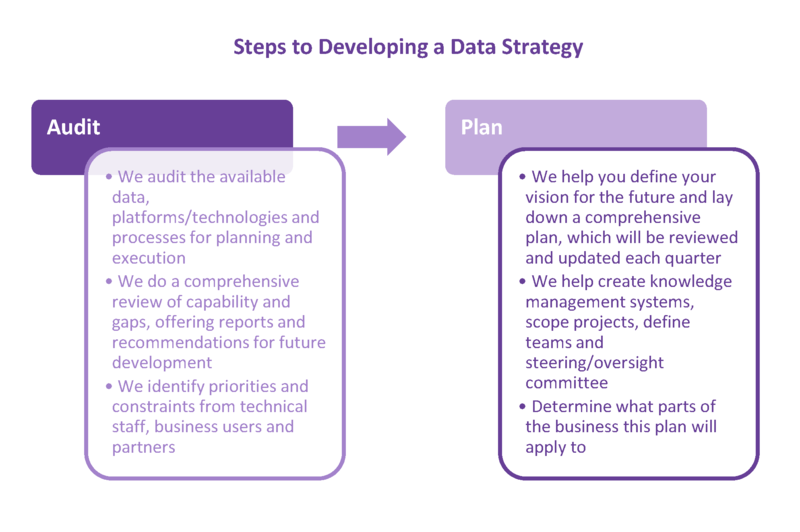 Interested in learning more about how Datamine could help you with creating a data strategy? Fill out the form below to schedule a call with us.